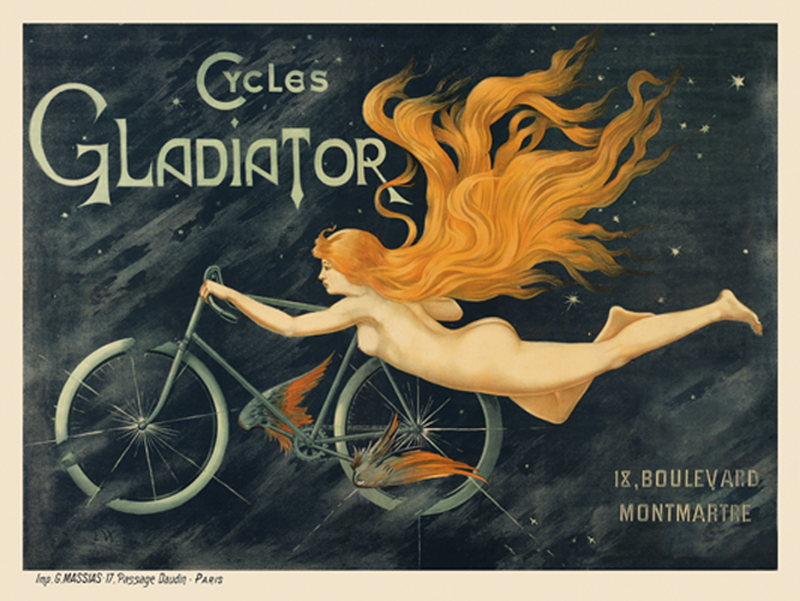 Our Fine Art Giclee Poster Prints are reproductions of original antique posters and as such may show some flaws that were present in the original poster. Please be aware that some computer monitors do not show exact colors. Our posters may exhibit slight color differences to what you see on your computer monitor or mobile device. Antique posters, for the most part, were not printed in proportion to modern paper sizes. Posters marked with “exact size” are printed to that size and will fit in standard frames of that size. Sizes not marked “exact size” on this web site are approximate and are printed in the same proportions as the original posters. If you have any questions please contact us at 336.991.7433 or via email at info@BicycleGifts.com. Giclee (jhee-clay) - Derived from the French verb gicler meaning too squirt. The term "Giclee Print" typically implies a certain elevation in printmaking technology. Images are high resolution digital scans printed with archival inks onto archival paper. The effect is similar to an air brush technique but much finer. The giclee process provides better color accuracy than other means of reproduction. Our fine art prints are prepared on a 12-color Giclee printer that has over 5000 nozzles for higher resolution images.